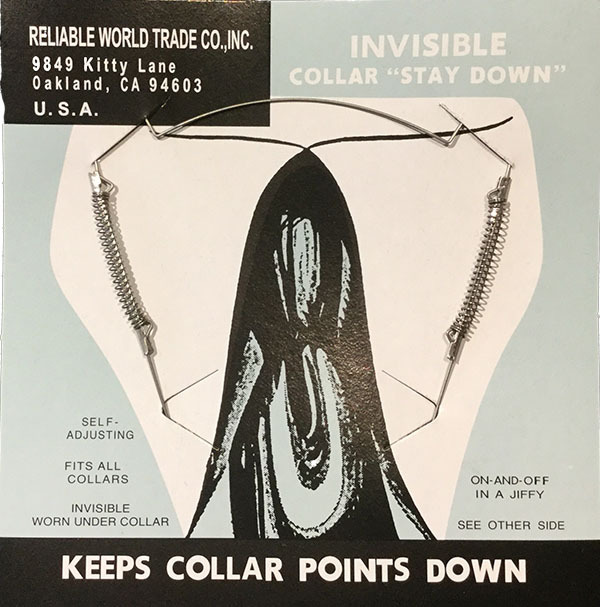 Who knew on that first day in July when we spent so much time with black ink and a cut-out stencil that our assigned four digit number would embrace and identify everything we owned, and hoped to have returned to us with weekly regularity, from Dixie cups to detachable collars. From those same collars we would now start collecting wooden “rasputniks” and learn which other essentials to tape in the cover of our Reef Points. Even with no pockets that same essential blue bible would always be with you, in a waistband or sock, as you “formed up” between classes or “chopped” to formations. We learned to keep our “gig lines” straight and our “eyes in the boat”. Our “spiffies” straightened our blue collars, metal cap stretchers dried our “covers”, and our “slipsticks” were sheathed on our belts. “Coffee chits” were often celebrity permissions to be granted (mine from Kim Novak) and your grease girl’s picture better be in your cap. At mealtime, you were more likely to be “fried” than “spooned”. A prized wooden “chit” would earn you a 10 minute weekly hair appointment in one of four wing basement “spas”. ICOR: That individual, designated by the tag on the hook by his name on the transom, responsible for anything amiss in the room, thus saving any inspector the need to differentiate deficiencies. With this duty came the skill of “unmaking” racks, a requirement during mandatory morning meals. Instead of tearing off all sheets in a pile, one carefully untucked all four sides layered together and folded them centerline, to be unfolded and remade quickly before classes. Chow Call: Throughout Mother B, simultaneously on the 4 or 5 decks of 8 wings, at 10, 5, and 2 minutes prior to every meal, the designated plebe would recite: the 4 “OOW”S, the 4 movies showing at the local theaters, the 4 daily countdowns (Army game, next leave, June Week, and graduation), the sports in the yard, and, of course, the menu. The skill here became assuming your assigned position in an outside formation from the fourth deck after the full “2 minute” call. Don’t even think of not squaring corners or hugging the outer ladder rail! Dawn Patrol: More of a team effort was that daily winter duty of surreptitiously entering an upper classman room before reveille to silently close windows and energize steam radiators. The skills learned here were to avoid s---cans and other purposely laid booby traps to preclude incurring the wrath of waking anyone. You don’t really dread the “Dark Ages” until you depart your loving family after your first “leave”, home at Christmas, and you still have mid-terms hovering in the end of January. “How cold does it get in Maryland?” …colder than the handle on an outhouse door…colder than “certain ladies” in Baltimore. The only thing more embarrassing than “Who gets the brick?” is if he is dragging a “Yard engine” and she’s the “OAO”. At a minimum its one long week displayed on the transom for all to admire. Mealtimes were always the most intense encounters with the upper classmen, as the recitations and professional questions were unceasing, “shoving out” and square meals notwithstanding. Whereas a well-executed “Wildman” may have provided fleeting impromptu relief, the decision to go for a “Cannonball” run required some intense classmate planning, not to mention the individual’s intestinal fortitude. Hold the hard sauce. “Uniform races” during “Come-arounds” were anything but, however, this was one skill that probably best carried over to all four years in the yard and ongoing life in the Fleet. At least in Mother B you could count on your “wife” for a “tuck”. MOCs (pronounced moaks), Jimmylegs, and Diggers and Fillers are just some of the list of supporting characters. The last two managed during the course of the year to move the entire yard three feet to the north. There were three recorded measures of survivability: grades, conduct, and grease. For the less academically gifted, the motto “2.5 will survive” would keep you off the “tree” lists in all the “requireds”: steam, bull, skinny, seamo, dago, and juice. Conduct deficiencies were doled of in 5 demo (demerit) increments with 300 annually being a perfect first year score. Each W-2 award included an invitation down to the Batt Office for an acknowledging autograph and a scheduled appearance at the next pre-dawn ED Squad. Excess demos could be marched off (in hourly increments) in drill attire with your “piece”. Your “Grease” was a mystical relative ranking of your “aptitude for the Service” as judged by your prescient seniors. Not so much a grade as a judgement ladder to potential success. And for all this we received our “monthly insult” of five dollars for “geedunk” and “poagie bait” at the Steerage. Sixty years ago we survived and were to be the only Plebe class under 49 stars and the first class to beat Air Force (in Baltimore) and our brethren WooPoos four straight in Philadelphia. In 1957 I was a junior in high school when the world changed. On October 4, 1957 the Soviet Union launched the first satellite, Sputnik, into earth orbit. Hard to picture now but it panicked the free world. Were the Russians looking down on us and could they drop bombs from orbit. The American space program was in its infancy and after a failed Vanguard launch attempt, we finally launched Explorer 1 into orbit three months later on January 31, 1958. But while the Soviets were having success after success we were blowing up rocket after rocket. In school I would sketch a Russian rocket reaching for the stars while the American one blew up on the launch pad. On April 12, 1961 when I was a youngster at the Academy, the Russians leaped even farther ahead, launching Yuri Gagarin into orbit, the first human to ride a rocket into space. 1. A month later we launched our first astronaut, Alan Shepard who rode Mercury Freedom 7 aboard a Redstone rocket sixty miles into space, not attaining orbit but getting us our first space hero. 2. It took almost a year before we finally launched John Glenn on Friendship 7 into earth orbit on February 2, 1962. By this time we were second classmen. Finally we were playing catch up with the Soviets. A few months later in September of 1962 our president, John F. Kennedy surprised the World in a speech at Rice University saying, "We choose to go to the moon. We choose to go to the moon in this decade and do the other things, not because they are easy, but because they are hard, because that goal will serve to organize and measure the best of our energies and skills, because that challenge is one that we are willing to accept, one we are unwilling to postpone, and one which we intend to win, and the others, too." For us at the Naval Academy all this was of interest but not of great importance while we were planning to serve our country in the Navy, Marine Corps, Air Force or Army. But shortly after the Class of 1963 graduated my life changed. I had a life threatening heart problem. In August 1964 the Navy medically discharged me along with my new wife and a four month old son. Having planned on a full Navy career I was at a loss for what else USNA had prepared me for. I applied for a job at the Kennedy Space Center and Boeing was happy with my transcript that stated something like, "The purpose of the Naval Academy is to develop Naval officers, but the degree is generally accepted as an engineering degree." So with dog and cat, in late 1964 we headed from California to Florida where I started a thirty-three year career launching rockets. The Apollo program was just gearing up, facilities and launch pads were still being built when we arrived. I was one of the first few hundred Boeing employees and help write their proposal for processing and launching the Saturn V rocket that would take our astronauts to the moon. In 1966 I ask for a transfer into a group that handled the launch hardware and became a member of the group that fueled the Saturn V with liquid hydrogen and RP-1 (kerosene). We were still finishing up the installation and testing of those systems. Late in 1966 we had a full scale non-flight Saturn V (SA-500F) on which we practiced our propellant loading procedures. Finally on November 9, 1967 we were ready for the first unmanned test flight of the giant 363 foot tall Saturn V with a boilerplate Apollo spacecraft on top. Imagine the awe and nervousness of making the first flight of by far the largest rocket ever made with millions of parts that all had to work perfectly. This would be the first launch off of the new launch pad, LC-39A and the first restart of a rocket stage in space. Apollo 4/AS-501 lifted off the pad with a roar like nothing ever heard before and attained all mission objectives. The next unmanned test flight was Apollo 6/AS502 on April 4, 1968. After a smooth launch the Saturn V suddenly experienced severe vibrations that threatened to tear the vehicle apart. And then two engines of the five on the second stage S-II mysteriously shut down. The rocket limped into orbit and attained its goals. Engineers successfully solved both problems and made modifications to the engines to prevent reoccurrence. In a gutsy move NASA decided to cancel additional planned unmanned flights and make the first manned flight a mission to orbit the moon. Now we realized that we had the lives of three men in our hands. This was Apollo 8/AS503. History was made on December 21, 1968 making Frank Borman, Bill Anders and Jim Lovell the first humans to leave Earth's gravitational field on their journey to the moon. The successful Apollo 4 mission was followed by the earth orbit Apollo 9 mission to check out the lunar lander and then by Apollo 10, the dress rehearsal for the moon landing that lowered the lunar lander to within a few miles of the surface of the moon before returning to the mother ship. Everyone knows the next mission, Apollo 11, where Neil Armstrong and Buzz Aldrin became the first men to set foot on an alien land. Launched on July 16, 1969 and landing on the moon on July 21, 1969. I was a twenty-eight year old supporting that historic mission. My favorite Apollo memory was performing my final walkdown of the launch tower just before launching Apollo 11. We were so aware of the enormity of what we were about to do. The MSS (mobile service structure) had been rolled back revealing the enormous Saturn V to full view. It was after dark and the spotlights were casting their cones of illumination on the stack. I was virtually alone on the tower as I examined every component of the LH2 system to be as sure as I could that "my" system would do its job. It was just me and the Saturn V with a bright moon overhead. I would look at the moon, then at the rocket and think, " I don't want to be anywhere but right where I am right now". Long forgotten is the fact that the Apollo 11 launch was almost scrubbed on July 16. I was assigned to the launch console (C4HU) that maintained 100% liquid hydrogen level in the Saturn third stage that was used to propel the astronauts from earth orbit to the moon. Late in the propellant loading as we were beginning the S-IV replenish operation, a large liquid hydrogen leak at -423 degrees occurred on the third stage replenish valve on the 200 foot level of the launch umbilical tower. Loading was terminated and the lines drained to prevent a fire or explosion and a Red Crew went to the Pad to fix the problem. Using troubleshooting that I developed the Red Crew torqued packing and flange bolts and cycled the valve. Then we resumed liquid hydrogen flow, but were unsuccessful in stopping the leak that prevented maintaining the 100% fuel level in the Saturn third stage. Without a full tank of liquid hydrogen there would be no launch. Finally the leak was isolated by freezing the valve by pouring water over it, but that made the critical valve inoperable. We then developed a way to use the large main fill valve which was not intended for that purpose to maintain the level and the launch countdown could finally continue. For several hours another engineer (CPH1) manually cycled the valve from his console as I reported the tank level as it fell below or exceeded 100%. If we hadn't controlled the leak and maintained proper LH2 level the moon launch would have been scrubbed for at least July 16 and probably for several days. The LH2 system had five propellant loading consoles in the Launch Control Center Firing Room and I operated one of them for every Apollo launch. On Apollo 13 I was finally assigned to the primary console that controlled the other four. At the time I was the youngest engineer to have this responsibility. The Apollo program ended with Apollo 17 in 1972. After that we used leftover Apollo and Saturn hardware for Skylab 1 through 4 and the Apollo-Soyuz project. I left to launch Atlas-Centaurs for five years and then returned to KSC for the Space Shuttle program where I was part of the Main Propulsion System, but that's another story. In 1969 I was a twenty-eight year old system engineer working on the Saturn V rocket at Kennedy Space Center. I had been medically discharged from USN in 1964 after graduating from USNA in 1963. As the years passed I had forgotten what was exactly my involvement in the launch of Apollo 11. After one hundred and fifteen launches in my career the details had all run together. Now on the fortieth anniversary of landing on the moon, I've been reminded that I had a leading role in a minor drama that could have resulted in a launch scrub preventing Apollo 11 from lifting off on its epic journey. It is an interesting footnote to that history. I realize that most of you were off fighting a war while I was launching men into space. A very weird time for America. The Apollo 11 countdown was proceeding normally until about T-3 Hours when suddenly a serious liquid hydrogen leak occurred on the 200 foot level of the Launch Umbilical Tower. The Saturn third stage (SIV-B) hydrogen replenish valve was spewing flammable gas. Without the ability to maintain proper LH2 propellant levels the mission would be scrubbed. I received this note from fellow Saturn LH2 engineer Jack Kramer after I told him I was confused that I couldn’t even remember if I was on the prime launch crew or backup off shift crew for Apollo 11. You were definitely in the Launch control Center for Apollo 11 launch. You were C4HU for Apollo 11. I was CPH1. (these were launch console designators in the Apollo Saturn Firing Room/ Control Center) You were in charge of the SIVB (the Saturn V third stage) level when we had to bypass the replenish valve because of the leaking valve that was cause for a launch scrub. I have the Procedure change you wrote so we could do it. Those were long days for all of the crew. You probably did the walkdown of the system on the launch tower and Saturn V and then came to the firing room to support the final countdown. It was always the best on night shift being next to that monster rocket in the floodlights with no one else around. A spectacular sight. Here is an excerpt from the Public Affairs transcript of the launch I found on the NASA webpage. I highlighted the leaking valve bit. Wayne Gray and Red Davis, a safety guy and I were on the launcher while you planned and wrote our troubleshooting procedures. After failing at all traditional fixes we could think of to stop the leak like torquing bolts, etc. we warmed up the valve with the hard hat bucket brigade pouring water to enclose the leaking valve in a sheath of ice which stopped the leak but made the computer controlled critical valve inoperable. I came back to the firing room and you and I manually controlled the level by cycling the main fill valve using the slow fill mode per your procedure. It worked and launch proceeded on time. No harm no foul. The rest is history. PAO (Public Affairs Officer): This is Apollo Saturn Launch Control; T minus 2 hours, 40 minutes, 40 seconds and counting. At this time, the prime crew for Apollo 11 has boarded the high-speed elevator from inside the A level of the mobile launcher which is the second level inside the launcher. This is the high-speed elevator; 600 feet per minute which will carry them to the 320-foot level, the spacecraft level. Shortly, we'll expect astronauts Neil Armstrong and Michael Collins to come across Swing Arm 9, the Apollo access arm, and proceed to the white room and stand by to board the spacecraft. The third member of the crew, astronaut Edwin Aldrin, will be the last one to board the spacecraft, will stand by in the elevator seated in a chair while his two comrades first board the spacecraft. Once Armstrong, who sits in the left-hand seat, and Collins, who will sit in the right-hand seat during lift-off are aboard, then Aldrin will be called and he will take his seat, the middle seat in the spacecraft, The spacecraft Commander Neil Armstrong and the Command Module Pilot Michael Collins now proceeding across the swing arm into the small white room that attaches at the spacecraft level. In the meantime, about 100 feet below, we have a technician – a team of technicians working on a leaking valve which is a part of the Ground Support Equipment, a part of the system that's used to replenish the fuel supply for the third stage of the Saturn V rocket. He is proceeding to tighten a series of bolts around this valve in the hope that this will correct the leak. Once the technicians do depart, the hydrogen will again be flowed through the system to assure that the leak has been corrected. The spacecraft Commander Neil Armstrong and CMP, the Command Module Pilot Mike Collins, now standing by in the white room. T minus 2 hours, 38 minutes, 45 seconds and counting; this is Launch Control. PAO: This is Apollo Saturn Launch Control; T minus 2 hours, 34 minutes, 44 seconds and counting. The spacecraft Commander Neil Armstrong now aboard the Apollo 11 spacecraft at the 320-foot level at the pad. We had it logged having the commander go over the sill into the cabin at 6:54am Eastern Daylight. Since that time, the commander has now been tied into the system and has checked in over the communication lines. He was wished a 'Good morning' by the spacecraft test conductor Skip Chauvin and Armstrong in return said it looks like a good morning. In the meantime, 120 feet below him, the technicians continuing to work to tighten bolts around a leaking valve associated with the system that replenishes hydrogen fuel for the third stage. To repeat once again, this is not a problem on the launch vehicle itself, but on the ground support equipment associated with it. T minus 2 hours, 33 minutes, 45 seconds and counting; this is Kennedy Launch Control. PAO: This is Apollo Saturn Launch Control; T minus 2 hours, 30 minutes, 55 seconds and counting. Right on the hour, the Command Module Pilot, astronaut Michael Collins, who'll be sitting on the right-hand side of the spacecraft during lift-off, boarded the spacecraft. We had it logged at 7am Eastern Daylight Time. The third member of the crew, astronaut Buzz Aldrin, standing by in the elevator around the corner along the swing arm from the White Room and the spacecraft at the 320-foot level. 120 feet below, technicians still working on some bolts that surround a leaking valve that is associated with a system that replenishes the hydrogen fuel supply to the third stage of the Saturn V rocket. Our countdown proceeding at this time; coming up toward the 2 minute and 30 minute ma... 30 second... the 2 hour and 30 minute mark in the count. This is Kennedy Launch Control. PAO: This is Apollo Saturn Launch Control; T minus 2 hours, 23 minutes, 46 seconds and counting. The third member of the Apollo 11 prime crew now aboard the spacecraft. We had it logged at 7:07am Eastern Daylight Time when astronaut Buzz Aldrin boarded the spacecraft. He'll sit in the middle seat during lift-off. As Lunar Module Pilot, his normal position would be on the right-hand side. However, due to crew preference, we have the Commander of course, Neil Armstrong, sitting on the left-hand side. The Lunar Module Pilot for the overall flight, Buzz Aldrin, sitting in the middle seat, and the Command Module Pilot Mike Collins sitting in the right-hand seat at lift-off. Down below, at the 200-foot level, our technicians still hard at work still tightening bolts around a valve associated with the system that replenishes the hydrogen fuel for the third stage of the Saturn V launch vehicle. This is ground support equipment located on the tower at the pad at the 200-foot level. He continues to work at the 200-foot level as the crew in the White Room does the same with the three astronauts aboard. We actually have a fourth astronaut still aboard the spacecraft at this time, astronaut Fred Haise, who is the back-up Command Module Pilot. He is in the Lower Equipment Bay of the spacecraft, giving a helping hand to the three prime crewmen as they start to perform some of their preliminary checks here as we head down over the final 2 hours – 21Ž2 hours of the countdown. We're at T minus 2 hours, 22 minutes, 11 seconds and counting; this is Kennedy Launch Control. PAO: This is Apollo Saturn Launch Control. We've just passed the 2-hour, 21-minute mark in our countdown and we are proceeding at this time. At the 320-foot level, all three astronauts now aboard the spacecraft. Just a few minutes ago, astronaut Buzz Aldrin came in and took the center seat to join Neil Armstrong on the left and Mike Collins on the right. These are the positions they will fly at lift-off. During the process of getting the astronauts checked into the spacecraft, communication cables must be attached to their suits. They also have to hook into the suit circuit system of the spacecraft that brings oxygen into their suits. They are helped by a fourth astronaut on board, the back-up Command Module Pilot, astronaut Fred Haise, who is in the Lower Equipment Bay, and one of the suit technicians, who's located behind them to give a hand as they check in. We've heard from Neil Armstrong, and now we've also heard from Mike Collins on comm checks, and we're standing by for further reports as the checkout continues. 120 feet down, the work continues on a leaky valve at the 200-foot level. This is ground support equipment. The technicians still hard at work tightening bolts around that valve at this time. 2 hours, 19 minutes, 45 seconds and counting; this is Kennedy Launch Control. PAO: This is Apollo Saturn Launch Control; T minus 2 hours, 10 minutes, 35 seconds and counting. At the 320-foot level, the fourth astronaut aboard the spacecraft regretfully leaves at this time. Astronaut Fred Haise is about to come out after giving the three prime crewmen a hand in their preliminary checkouts aboard. Fred Haise will be coming out shortly. In the meantime, 120 feet below, where we have that problem with the leaking valve, the technicians have completed their work and they are in the process now of departing from the launch pad. In a short while, we'll start flowing hydrogen again back through the general replenishing system to continue the top-off – the supply of the hydrogen fuel to the third stage of the Saturn V launch vehicle. The spacecraft Commander Neil Armstrong has completed a series of checks called abort advisory system checks. This is where certain key crewmen on the ground, members of the launch team, can send signals to the commander in the spacecraft; light cues that would indicate a difficulty during the flight in which he could take abort action if he determined that such action was necessary. These checks have been completed and Neil Armstrong confirmed that the lights came on in the console in front of him, the panel in front of him as these lights were operated from the ground here in the Launch Control Center. All still going well with our count. We will stand by as we again bring hydrogen back to the third stage. We will see how that operates. We're now at T minus 2 hours, 9 minutes, 4 seconds and counting and this is Kennedy Launch Control. PAO: This is Apollo Saturn Launch Control; T minus 2 hours, 7 minutes and counting. At this time we're just in the process of closing the hatch on the Apollo 11 spacecraft. Several of the close-out crew shook hands with the astronauts and then proceeded to close the hatch on direction from the Spacecraft Test Conductor Skip Chauvin. We had it logged as the hatch being closed and tightened – still being tightened right at this time which is 25 minutes past the hour. Once the hatch is closed, we will start a cabin purge to condition the cabin inside. The three astronauts, of course, are on pure oxygen in their space suits on the suit circuit. We will produce a cabin atmosphere in the spacecraft of a 60/40 combination; 60% oxygen and 40% nitrogen. This is the atmosphere used for lift-off. Once that is accomplished, the close-out crew will be ready to put the Boost Protective Cover on the hatch and continue with their close-out. The hatch being closed at this time. We are proceeding. We'll stand by to see how our hydrogen condition is, as far as replenishing the hydrogen fuel supply with the third stage of the Saturn V. 2 hours, 5 minutes, 50 seconds and counting; this is Kennedy Launch Control. PAO: This is Apollo Saturn Launch Control. We're at T minus 2 hours, 55 seconds and counting. We're approaching the 2-hour mark in our countdown and we appear to be proceeding satisfactorily at this time. The crew aboard the spacecraft, the 320-foot level, the hatch is closed and we're beginning to purge the cabin to bring it to the proper atmosphere for launch which is a combination of oxygen and nitrogen; 60% oxygen and 40% nitrogen atmosphere. Of course, the astronauts themselves are breathing pure oxygen through their space suits. Coming up shortly will be another key test in which both the launch crew for the – the launch vehicle crew and the spacecraft team combine together with the Commander Neil Armstrong to make a thorough check of the Emergency Detection System. This is the system that will signal the astronauts in the cabin if anything goes wrong below them. We used a ground-based computer to accomplish this test. It's rather lengthy as these tests go, using a computer. It will take some 30 minutes. Neil Armstrong will be doing most of the work in the spacecraft, responding as different cue lights, signifying different difficulties, are presented to him. The abort panel, of course, is across from the commander on the left-hand side, the left-front of the spacecraft. Our countdown continuing; T minus 1 hour, 59 minutes, 34 seconds and counting; this is Kennedy Launch Control. PAO: This is Apollo Saturn Launch Control; T minus 1 hour, 50 minutes, 55 seconds and counting. We're proceeding with the countdown with the Apollo 11 mission at this time and it's going satisfactorily. At this point, the spacecraft Commander Neil Armstrong in the process of working the Emergency Detection System test. This is a check of the Emergency Detection System working with the launch crew here in the firing room and also the spacecraft team in control rooms back at the Manned Spacecraft Operations building here at the Kennedy Space Center. All going well with these tests at the present time. We're flowing hydrogen back into the third stage of the Saturn V launch vehicle after having difficulty with that leaking valve. It appears that we are bypassing the use of the valve directly in loading the hydrogen aboard, but we are getting the hydrogen back in to replenish the supply. All appears to be going well at this time. Weather is Go. We're coming up on 1 hour and 50 minutes. This is Kennedy Launch Control. PAO (Public Affairs Officer): This is Apollo Saturn Launch Control; T minus 1 hour, 30 minutes, 55 seconds and counting. All elements are Go with the countdown at this time, the countdown aimed at landing two astronauts on the Moon. At this time the Spacecraft Test Conductor Skip Chauvin going through some checks with astronaut Mike Collins aboard the spacecraft. We're winding up this important Emergency Detection System test that Neil Armstrong has been participating in. Meanwhile, at the 320-foot level, the close-out crew now placing the Boost Protective Cover over the hatch now that we have completed the cabin purge and have the proper environment inside the cabin. We have also performed leak checks to assure ourselves that the cabin atmosphere is valid. This Boost Protective Cover is used during the early phases of the powered flight and it is jettisoned with the escape tower shortly after second stage ignition. Here in the firing room, the launch vehicle test team's still keeping a close eye on the status of the propellants aboard the Saturn V launch vehicle. We're back to 100 percent supply with the liquid hydrogen fuel in the third stage. This problem with the leaking valve is no problem at this time. We've actually bypassed the valve but we are maintaining our hydrogen supply aboard the vehicle. All aspects Go. The weather is very satisfactory for launch this morning. A thin cloud cover about 15,000 feet. Temperature at launch time expected to be about 85 degrees. T minus 1 hour, 29 minutes, 30 seconds and counting; this is Kennedy Launch Control. PAO: This is Apollo Saturn Launch Control; T minus 1 hour, 20 minutes, 55 seconds and counting. All still Go with the countdown for Apollo 11 at this time. At this point in the countdown, spacecraft Commander Neil Armstrong once again appears to be the busiest worker in the spacecraft as he is performing a series of alignment checks associated with the guidance system in the spacecraft. He's working these checks with the Spacecraft Test Conductor as the Spacecraft Test Conductor reads out the various procedures and Armstrong responds to them. The astronauts aboard the spacecraft also were informed by the spacecraft conductor a short while ago that the launch vehicle is Go at this time. The hydrogen problem that we did encounter earlier has been solved. "That's real good news," said Armstrong and then he went back to work shortly thereafter. We're now coming up on the 1 hour, 20 minute mark in the countdown; this is Kennedy Launch Control.